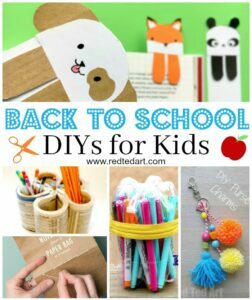 Aaaah yes it is time for some Unicorn Crafts for Kids cuteness!! 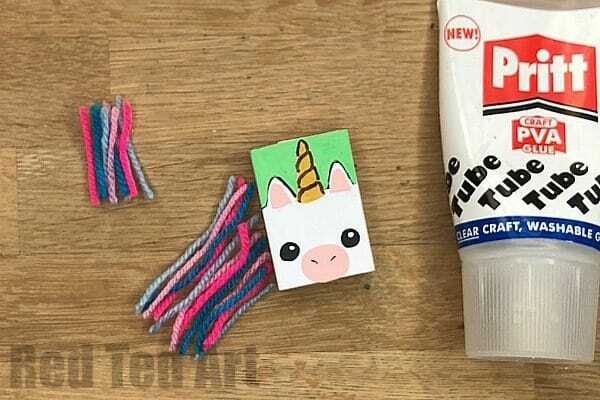 We do love a magical unicorn DIY! 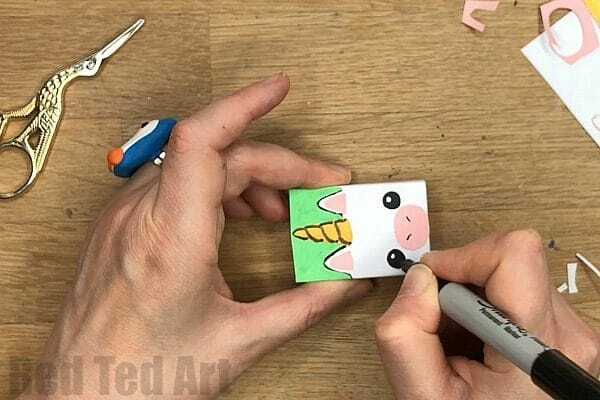 And hopefully this “secret Unicorn Notebook” is one that you will love too… this is no ordinary notebook.. no, this is a Matchbox Unicorn Notebook DIY. 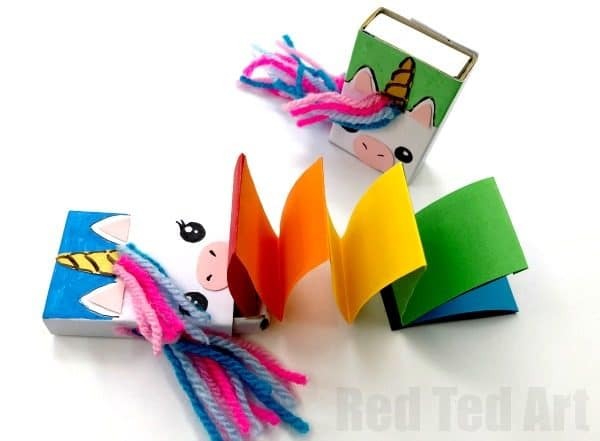 We love that you can regularly refill your rainbow notebook pages and reuse and reuse and reuse this cute Matchbox Unicorn Craft! 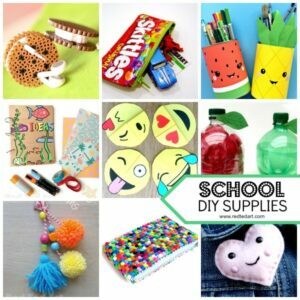 More wonderful Back to School Crafts for you here! 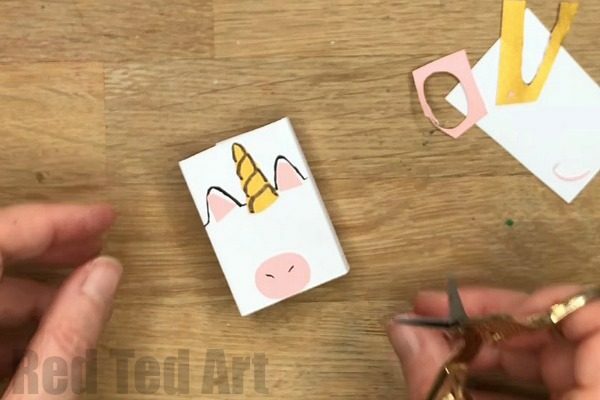 NOTE: You can also decorate this matchbox by PAINTING it into a unicorn, instead of using paper and glue! 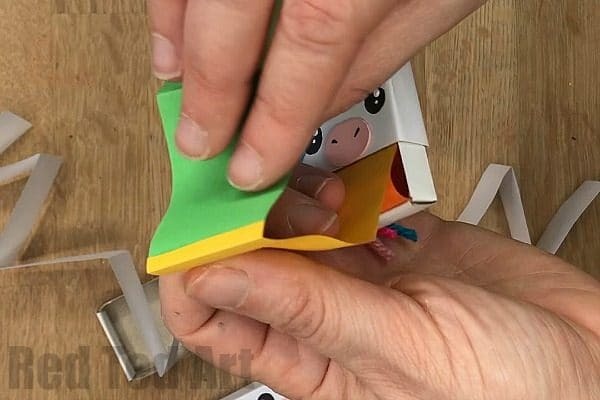 You can either watch our Matchbox Unicorn Notebook video or follow the step by step Unicorn Notebook decorating instructions below!!! Begin by wrapping your match box in white paper – if the paper is very thin, you may need two layers. 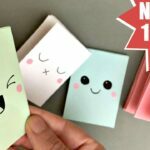 The quickest way of doing this, is to wrap your uncut paper around the matchbox and crease along the edges to get your measurements. 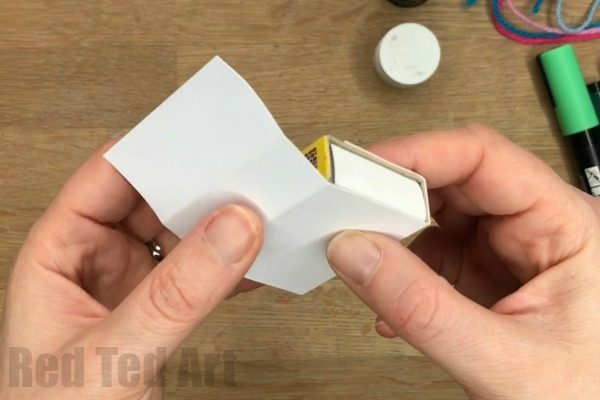 Then cutvout the paper, re inforce the creases and glue onto your matchbox. You now have a “blank canvas” to decorate as a unicorn! 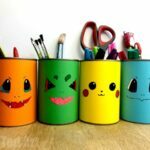 Instead of paper you can paint the matchbox white too! Cut out the following features: a horn, an oval “mouth piece”, triangles for the ear. We used gold paper for the horn, but aluminium foil would look just as sparkly. 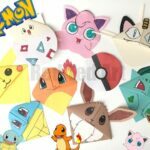 Draw the ear outline onto your matchbox. We decided a ratio of 2/3 to 1/3 background to unicorn design would be nice. And colour in the background blue or green. Glue your ear, horn and mouth piece in place. Finally, add some nice big Unicorn eyes to your unicorn face. It is time to add the unicorn’s mane. I used some bright pink and blue wools. Cut 2x 4 strands for the fringe (approx 2cm long) and a set of varying lengths for the mane. Carefully glue the fringe in place. 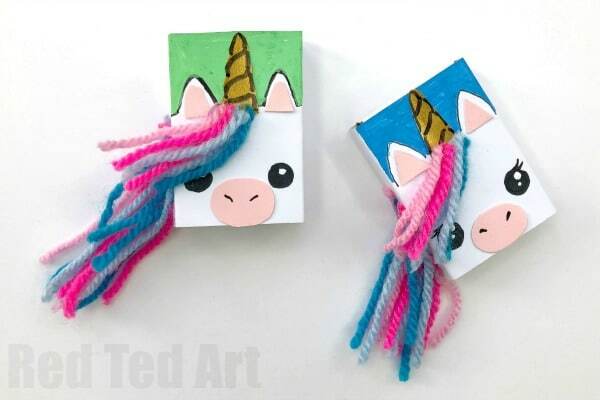 Whilst your unicorn is drying, you can make your mini notebook to go inside your matchbox. 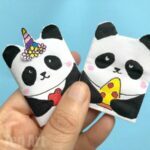 The quickest way, is to cut two strips of white paper (to fit snuggly into the matchbox). Then glue these together, to make one long continuous strip. 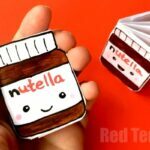 Concertina this paper and pop it into the matchbox. Done. 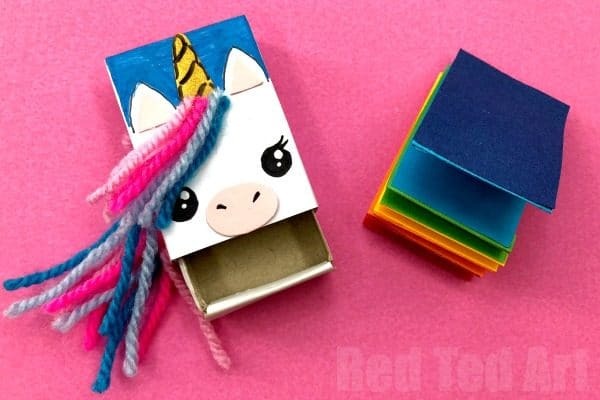 IF you would rather make a RAINBOW Notebook to go into your Unicorn Matchbox (who wouldn’t!!). 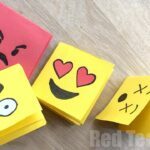 Cut strips of paper in rainbow colour – they need to be the width of the matchbox x TWO TIMES the length + a little bit. Fold to match the length, with the “little bit” peeping over. 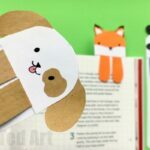 Use this paper lip to glue it onto the next colour of your notebook. And repeat until you have all the desired colours. It takes a little longer, but looks oh so cute. 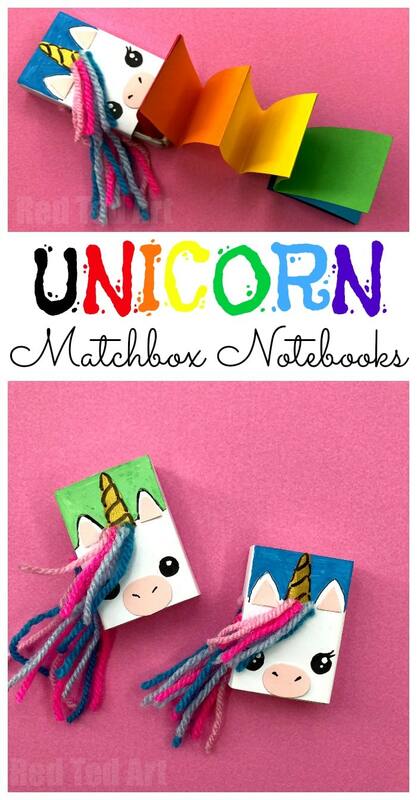 Pop into your matchbox and your DIY Matchbox Unicorn Notebook is FINISHED!!!!! Woohoo. 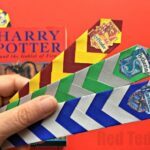 More Notebook Crafts Here – these notebooks are all “NO GLUE” notebooks and only require scissors and pens for decorating!